Sunday was the last day The Clam Box was open for this year. 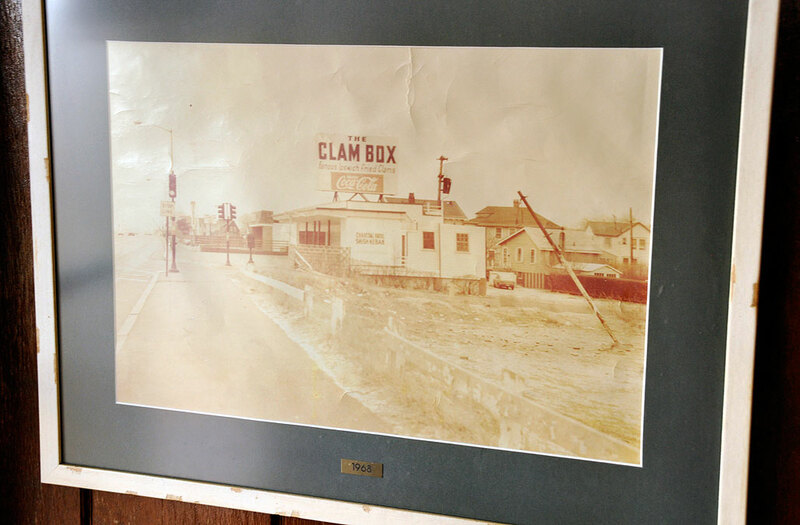 One of our editors grew up in Quincy and has been going to The Clam Box since she could ride a bike. The rest of us go back year after year because we all agree that they have the best fried seafood in Boston. We KNOW they definitely have the best fried onion rings. Anyway, The Clam Box’s last day of the season was October 31st. We had been meaning to stop by all week for one last plate of fried clams and onion rings, but the chance hadn’t occurred until the very last moment. Luckily for us, Sunday afternoon was a perfect day for both a walk along Wollaston Beach and for a final taste of the quintessential Summer food…fried clams. It was a fitting way to mark the end of the season. Even thought it was not long warm enough to eat outside, the walk did work up our appetites. 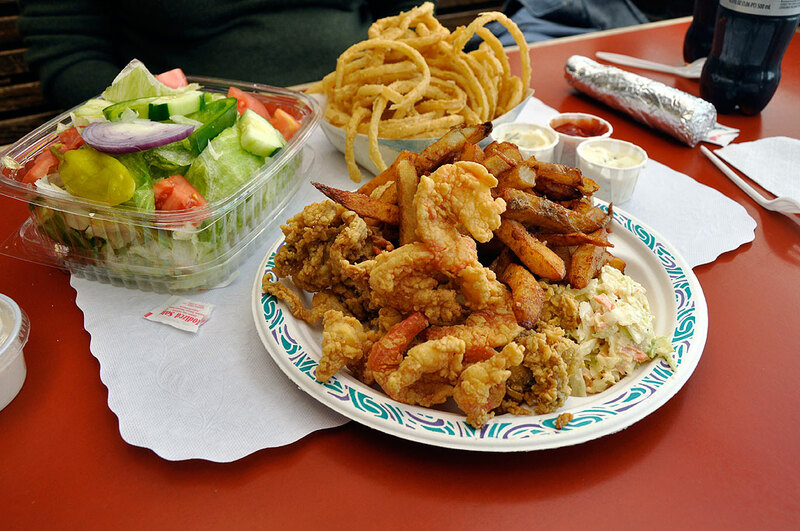 We ordered up a nice combo plate of fried clams, jumbo shrimps and batter-dipped onion rings. Being the last day, the line was considerably shorter than usual and the typical thirty-minute wait was substantially reduced. We were able to place our order in about five minutes and our food was ready less than ten minutes later. This last outing was as good as our first one at the beginning of the season. The clams were just as sweet and juicy, the shrimps were just as huge. As usual, the onion rings were light and crunchy. Three thousand calories (our estimate) never tasted so awesome! 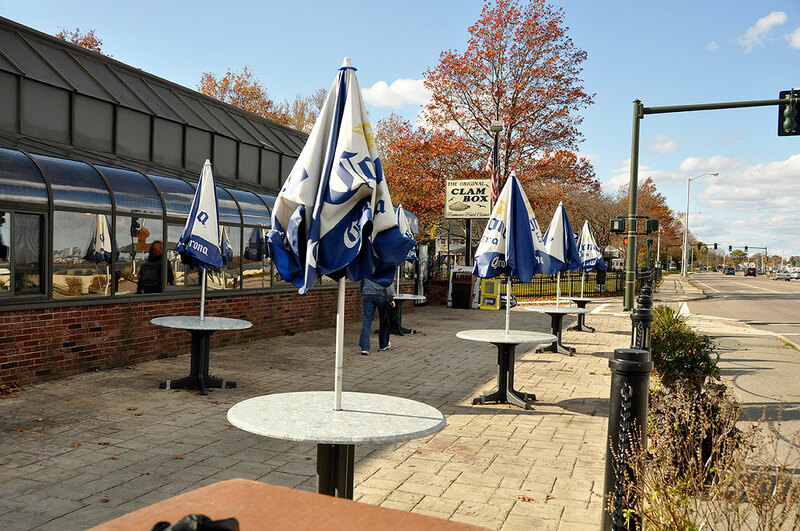 It had been a great Summer, but now that The Clam Box is closed, it is officially time to put away the beach gear and get out the sweaters. We were one of the first in line when they opened up this year and we will be there next March again when they fire up the fry-o-lator.